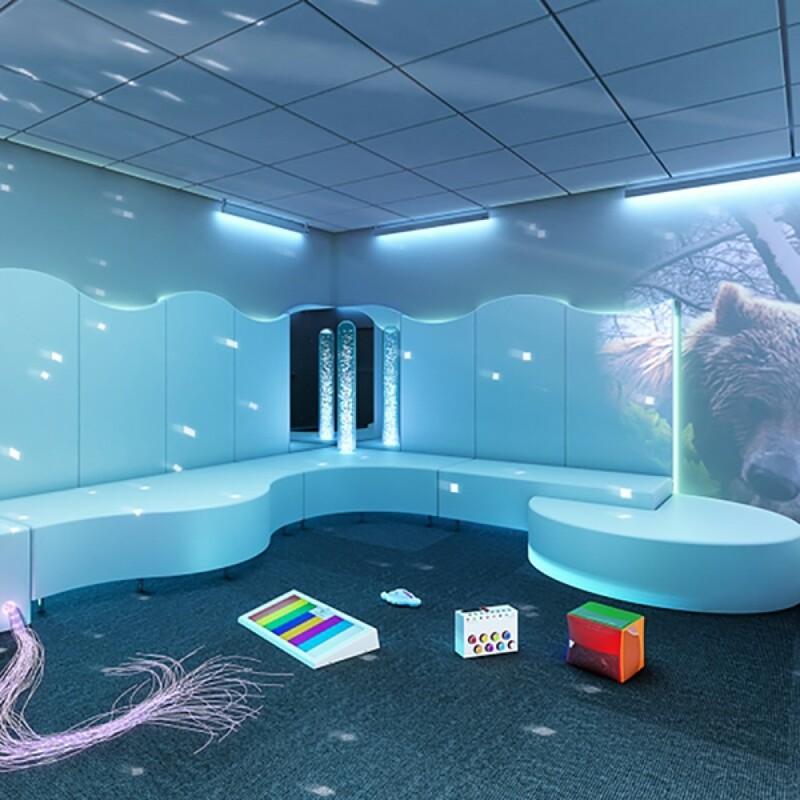 The Calming Sensory Room is the perfect solution for individuals who require calming or relaxation at key times during the day such as bedtime or before an uncomfortable procedure. Create a soothing environment with the Calming Sensory Room! If relaxation, calming and de-escalation is the name of the game then this bundle is the perfect solution. Featuring a 60" Calming LED Bubble Tube and soft padded platform, a user can sit close to the tube and watch as the bubbles steadily rise and the colors slowly change. The mirror ball produces spots of light that rotate around the room while the projector shows calming images that slowly rotate, creating a wonderful soothing environment. 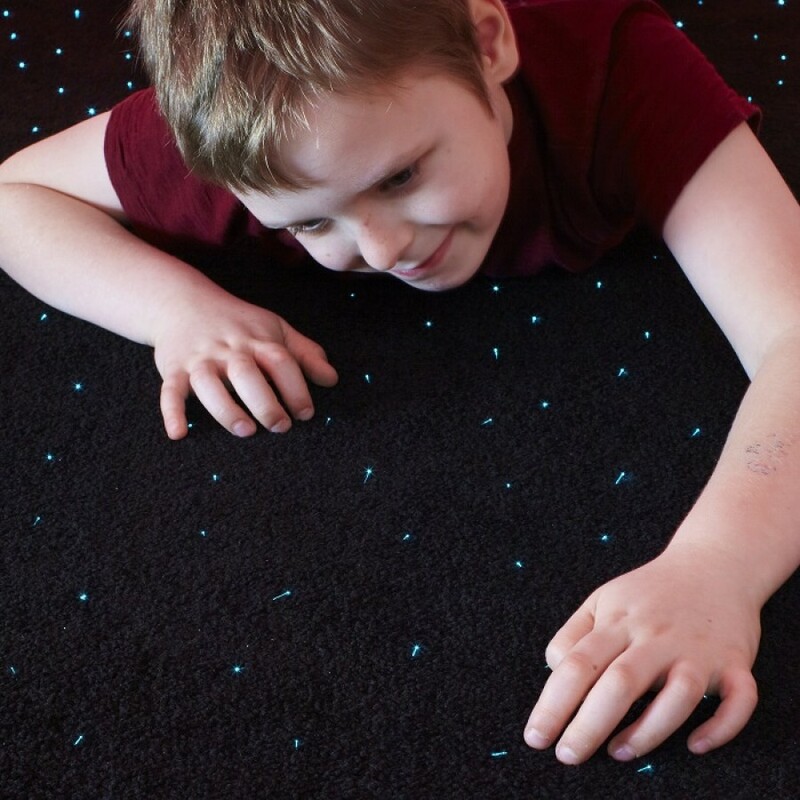 A Fiber Optic Carpet with slowly changing spots of light is a terrific place to lie down and relax while watching the projector images and listening to calming music. The Fiber Optic Softie provides a comfortable seat in which an individual can get close to the fiber optic strands and handle them while they slowly change color. These strands have no electricity in them…..only light, so they’re safe to handle and provide a wonderfully tactile experience. This bundle was designed for school and other facilities who have individuals that may need to de-escalate and relax, perhaps at key times during the day before they become overwhelmed with their environment and act out. All electrical products in the bundle operate on standard 110v power transformed to low voltage. 1 x Calming LED Bubble Tube -60"
1 x Bubble Tube Acrylic Mirror Pair - 48"
Enhance the sensory experience of your Calming Room - and save $30 - by adding our Sensory Room Aromatherapy Bundle! A question we often receive is “Will this room package fit in my room?”. The answer depends not just on the room’s dimensions, but on several factors like the layout of the room, location of windows and heating & cooling elements, and number & location of power outlets. Please contact us with any questions you may have. Please note that this sensory room package requires 7 electrical sockets.